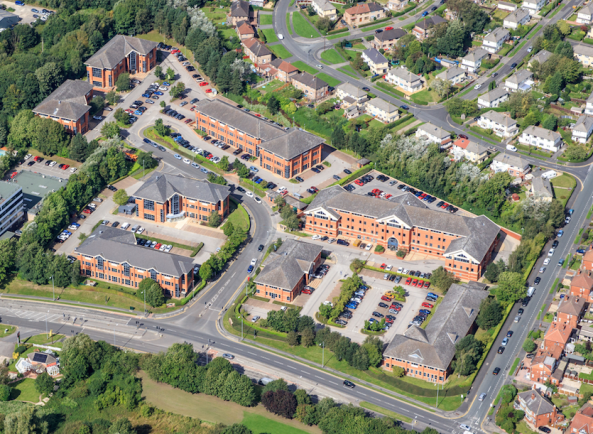 A North Leeds business park that is home to leading companies and a government department has been acquired by Hillview Real Estate (HRE), the real estate division of The Hillview Group (THG). National commercial property consultancy Lambert Smith Hampton (LSH) advised The Hillview Group on the £26.5m deal, which represents a net initial yield of 8.3 per cent. Lawnswood Business Park is located on the Leeds Outer Ring Road A6120, five miles from the city centre and 10 minutes by road from Leeds Bradford Airport. It comprises eight detached office buildings set in a landscaped environment with car parking. Office sizes range from individual suites of 1,900 sq ft to a self-contained building of 37,190 sq ft. The park is home to 17 occupiers including HM Customs & Excise, Brenntag UK and BHP Chartered Accountants. The acquisition comes as HRE has identified a post-Brexit pricing dislocation in key UK regional markets across office and industrial properties. These market shifts have been driven by a general perception of wider turmoil and uncertainty in the UK economy suppressing value in high-quality regional property. HRE’s focus is on investing in high-quality regional property that can see income and value maximised through pro-active asset management and engaging directly with occupiers to ensure optimal use of office space as market trends evolve.